Surviving a near death experience in 2010 while paddling the Molokaʻi Hoe made Luke Evslin think deeply about the purpose of his life. He came out of that life-threatening experience filled with Aloha for his ʻohana, the community, the islands and the world. He and his wife, Sokchea, resolved to live simply by living off the grid and growing as much of their food as possible. And he resolved to be of service to the community. It is with a deep commitment of service to the community that he now campaigns for the Kauaʻi County Council. Please join me in voting for Luke Evslin. Luke’s local roots give him the humility and drive to work for a better Kauai. His drive to serve our community is impressive and I am confident he will represent our shared values with grace and integrity as a member of our Council. Talking story with Luke and reading his blog and articles has shown me several key qualities that would make Luke an excellent Kauai County Council member: his ability to analyze and discuss civilly complex issues, his thoughtfulness to look and understand at all sides, and his experience as a young small business owner, husband and father plus his concern for many young adults struggling to raise their families on Kauai. 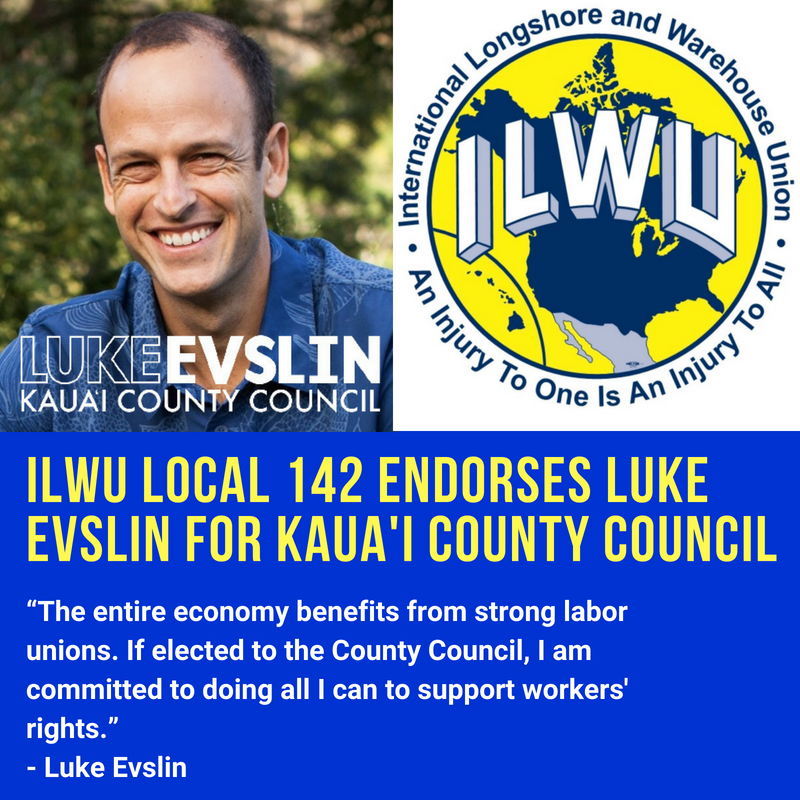 Luke is the next generation of Kauai leadership to give us a hopeful future.